Green vegetables are the greatest source of folic acid. They are also rich in iron and most are high in magnesium. Due to the presence of folic acid, they help boost the immune system, which means, although you will get the occasional cough and cold, you will not suffer as much. Folic acid is also vital for cancer prevention. It prevents a disease called Spina Bifida in fetuses and is a must for pregnant women. Here is 8 easy ways to eat more greens (the last one will come as a pleasant surprise to your palate). An egg for breakfast is ideal to meet your protein requirement and obtain other vital nutrients. While scrambling eggs, add wilted spinach or kale to them. Introduce green vegetables in small quantities and wait for your palate to adjust to the taste. 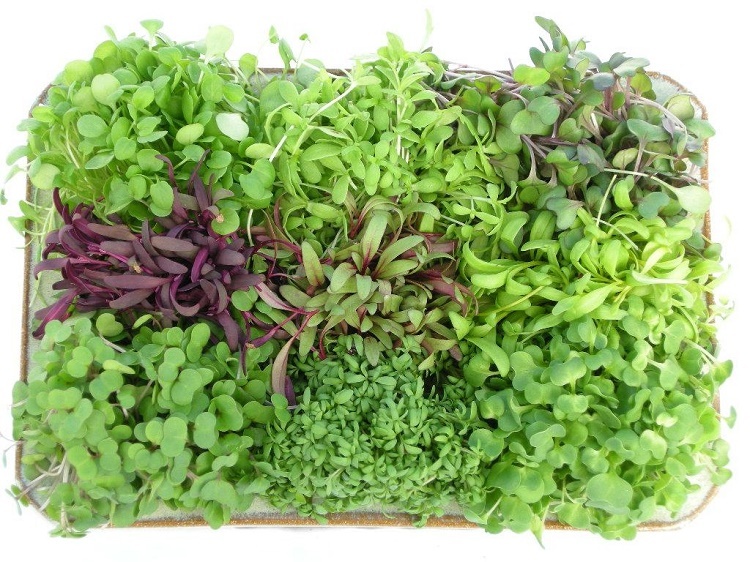 You can gradually increase the amount and variety of greens you use. Other easy ways to eat more greens with breakfast include baked kale (kale chips) or kale sautéed with garlic and mushrooms. Mushrooms are rich in B group vitamins, antioxidants, and also contain minor quantities of minerals like potassium, zinc and magnesium. Combined with the Vitamin C found in Kale, this healthy green meaty breakfast helps aid immunity and mental health. Many broccoli soup recipes are not only nutritious but also super easy and tasty. Blanch broccoli and blend with a bit of salt, ground pepper and olive oil. Make it fancy by sprinkling some goat’s cheese or a chunk of mozzarella (as per your taste) and toasted walnuts for crunch. Pasta is versatile and everyone has a favorite. Some easy ways to eat more greens is to add spinach to pasta while it is still hot before tossing into the sauce. Alternatively, you could add broccoli or corn to the pasta sauce. Sauté greens of your choice with garlic and herbs (more greens!) in olive oil and toss them with warm rice for a refreshing new dish on your plate. Always start with small amounts and increase the greens as your palate adjusts to the flavor and texture. Add a handful of wilted dark leafy greens to a fruit smoothie or a protein shake. A greens smoothie is hard to drink, and if you are not used to it, it is hard to digest as well. However, adding a small amount in your drink will not only hide the flavor but also condition your palate and digestive system to accept more greens in the future; you are getting every bit of the nutrition innocuously along the way! You can add a variety of greens to baked beans like beet greens, Kale, Spinach, and Bok Choy. Same can be done with white beans. Cook white beans in chicken broth until they are soft. Add sautéed greens of your choice, salt, lemon juice, garlic and a dash of olive oil. Bring to a quick boil and serve. Boil baby beets and slice them up. Toss with a simple olive oil and lemon juice dressing with a dash of white pepper and little chunks of salty feta cheese along with beet greens and / or lettuce. Add bits of boiled chicken for a meaty texture. Steam salmon or other oily fish with herbs like rosemary and basil wrapped in iceberg lettuce or collards until tender. Sprinkle a bit of lemon juice and olive oil for simple, tasty and easy ways to eat more greens. Mushy peas are by far the best method for preparation of peas. We all know about beans on toast. Replace the beans on toast with mushy peas on toast. By themselves, mashed peas are a great way to eat more greens for breakfast but this recipe of peas on toast also opens up some more fantastic ways to eat more greens. Boiled peas go well with pretty much all flavors of green leafy vegetables and can be combined with leafy greens to eat up along with toast. Mashed peas are also a great accompaniment to fried or steamed fish along with a herby salad of wilted dark greens. Eating raw greens is both texturally and taste wise a hard thing to do. Wilting the greens a bit will retain most of the nutrients along with toning down the smells and textures. Most wilted dark leafy greens tossed with some salt-pepper and olive oil or lemon juice make perfect accompaniments to any fish, rice and toasted bread. Eating greens with every meal will help increase the freshness and reduce consumption of excess saturated fats. Apart from Spinach, Kale, Lettuce, beet greens, broccoli, and asparagus, other available greens that are both healthy and tasty are mustard greens, turnip greens, and Brussels sprouts. They are all rich in folic acid and a variety of vitamins, minerals, and antioxidants. We hope the 8 easy ways to eat more greens help you make healthier food choices this New Year.